The Nib Magazine Call For Pitches: Animals! This fall, The Nib is set to kick off our second year in print with a biting new magazine theme: Animals. And we want your pitches. Previous issues have featured a diverse range of comics artists on the themes of Death, Family, Empire and Scams. Each Nib magazine is themed, 112-pages, full-color, and is filled with comics that range in length from four panels to 12 pages. We hire artists and artist-writer duos and all our creators are paid. Most comics commissioned for the magazine will later appear on our website. This issue, we’re hunting for focused, visually compelling stories about anything animal-related: climate change, extinction, food, farming, folklore, history, pop culture, and powerful personal tales. We want Animals to cover everything from the politics of Mickey Mouse to the future of polar bears. No story is too strange. 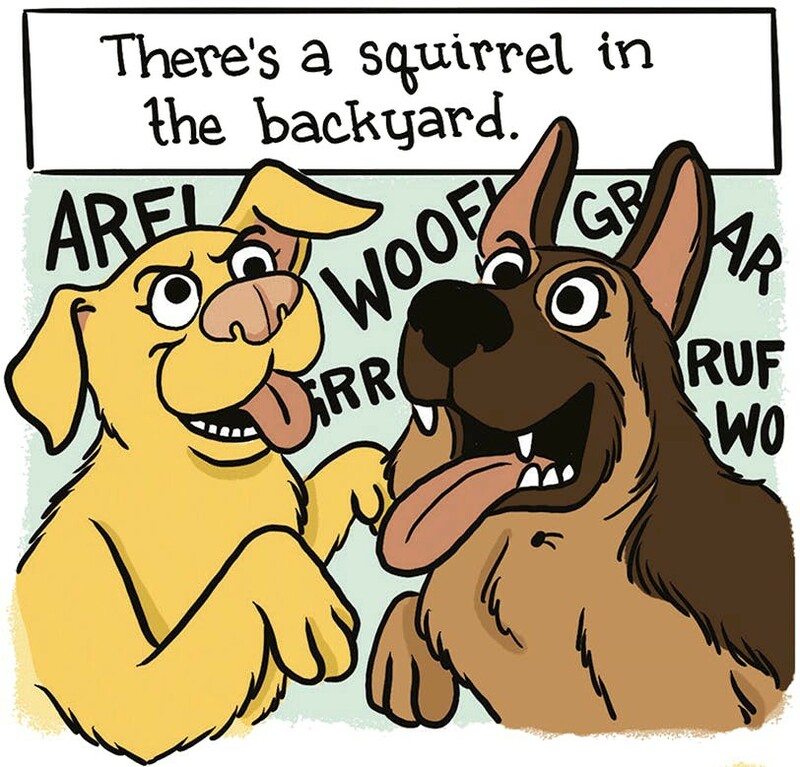 From “Five-Alarm Kane Family Emergencies” by Nomi Kane in The Nib’s Family issue. The only rule is that, like our website, we will not accept pitches of fiction longer than a short gag strip. These have to be real stories about real things that happen to real people (or animals). The stories need be relatively timeless, since this issue won’t debut until October 2019 and should still be interesting to read when someone picks it up years from now. In your pitch, make it clear why your story matters and why you’re the best person to tell it in comics and include art samples of similar works you have already made. Pitches submitted without art samples will not be considered. • Dispatches: Think short! These 8-10 panel pieces of nonfiction journalism, explainers, interviews, history and memoir tell pointed stories in a concise way. • Features: These 5–12 page (20-50 panel) pieces of nonfiction journalism, explainers, interviews, history and memoir are the heart of the Nib magazine. • Strips: These one to two page comics are usually funny works of fiction and satire that incorporate the issue’s theme in a clever way. But short true-life gags work, too! If your pitch is accepted, the comic will be assigned in May and due in July 2019. We are excited about working with new artists, but need every artist we hire to be a professional who’s able to meet deadlines. Hit us up with all your ideas at comics@thenib.com by APRIL 30, 2019. 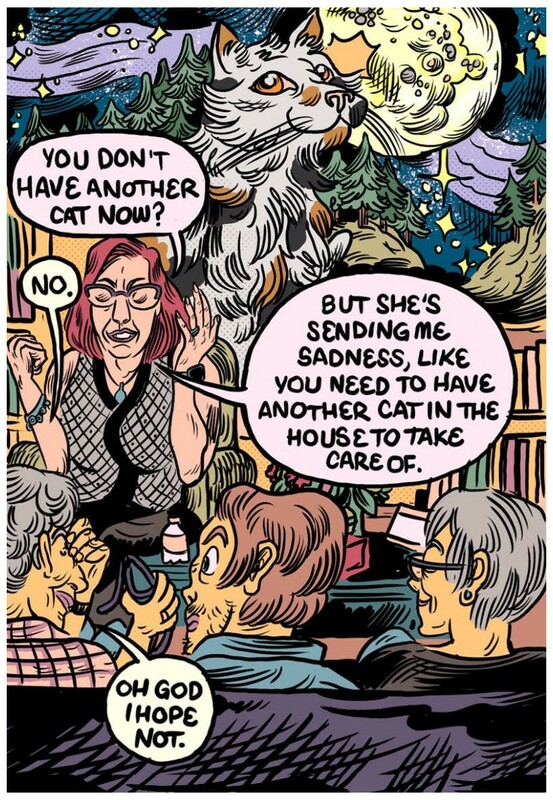 From “She Talks to Dead Pets” by Andrew Greenstone in The Nib’s Death issue. P.S. The issue following Animals will be on the theme of Drugs. If you have any Drugs-related pitches, send them our way! We’ll put up a more formal call for pitches for the Drugs issue closer to the deadline, but we’re happy to start collecting ideas now.